Body Contouring Surgery Beverly Hills, Ca. Tummy Tuck or Abdominoplasty: This procedure removes excess skin from the abdomen, and tightens the muscles underneath to improve contour. Liposuction: Sometimes people have areas of excess fat remaining even after weight loss. Liposuction often can address this problem. Breast Lift or Mastopexy: Excess skin of the breasts can result in sagging. Breast lift removes this excess skin and repositions the breast at a more pleasing level on the chest. Breast Reduction: Sometimes women are left with overly-large breasts even after weight loss. A breast reduction can make the breasts smaller to match the rest of the body. Breast Augmentation or Breast Implants: If there is some excess breast skin but not enough breast volume to fill it out, breast augmentation with implants can often provide a more pleasing appearance. Arm Lift or Brachioplasty: Excess arm skin can result in hanging areas of the upper arms. An arm lift removes skin and fat to give the arms an improved shape. Thigh Lift: Hanging skin of the thighs can be unsightly and lead to skin irritation from constant rubbing. A thigh lift removes this excess skin and fat from the thighs. Facelift: People who have lost a great deal of weight often have loose skin of the face and neck. A facelift can provide a stronger neckline and more fresh appearing face. Plastic Surgery for Men: Women aren’t the only people who need body contouring after weight loss. Men require unique procedures done in a specialized fashion to achieve the best results. One example of this is male chest reduction or gynecomastia surgery. When people lose a lot of weight, they tend to be healthier and happier. Often, though, they are left with loose and sometimes hanging skin. In this situation, body contouring surgery can offer tremendous improvements in appearance. Sometimes people lose a great deal of weight through diet and exercise. Other times it results from bariatric surgery such as gastric bypass surgery, stomach stapling surgery, or lap band surgery. In any case, it is important that several prerequisites are met before undertaking body contouring surgery. You should be healthy overall. Your weight should be stable. You should realize that the surgeries may need to be staged over several months. There is a range of plastic surgery options available for people seeking body contouring after massive weight loss. The exact combination of procedures depends on your body type and personal priorities. 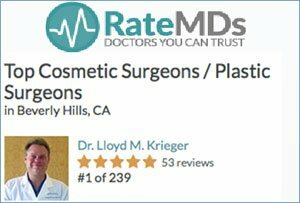 During your consultation at Rodeo Drive Plastic Surgery, Dr Lloyd Krieger will examine you and make recommendations individualized for you. Before and After Breast Lift Pictures in a woman who lost more than 100 pounds following gastric bypass surgery. 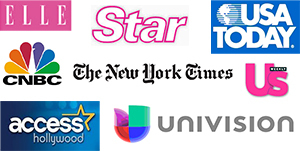 For more information body contouring surgery in Beverly Hills – Los Angeles area, contact us.